This is the fourth edition of the Somerset Sump Index. The first was produced by Phil Davies in 1957, the second by Ray Mansfield in 1964 which was then revised by Ray in 1977. This edition is based largely upon the third edition (1991) compiled by Michael McDonald and has been brought up to date using reports from the Cave Diving Group Newsletter and other published accounts, as well as contributions from individuals. The format of previous editions has been retained in that a historical synopsis of activities is presented using accounts of original exploration. 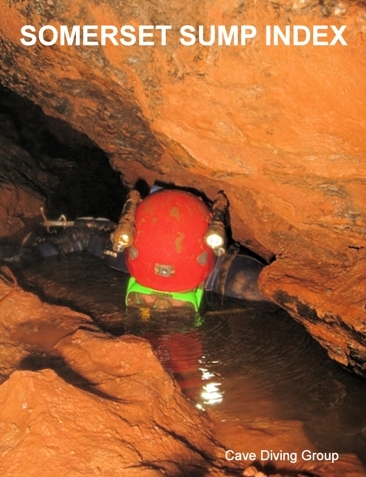 For more major sites a description of each sump is also provided. Dive reports have been reproduced generally as originally published, although in some cases the text has been edited for brevity. The original units used by the authors (metric versus imperial) have been retained. Please bear in mind that the information contained herein may not be current or accurate. It is the nature of this type of document to become quickly outdated.